Maryland Gov. Larry Hogan delivers his annual State of the State address to a joint session of the legislature in Annapolis, Md., Wednesday, Jan. 30, 2019. On the left, Senate President Mike Miller said the proposals may be fiscally irresponsible. On the right, House Minority Leader Nic Kipke said Hogan’s proposed cuts don’t go as far as Republicans in the House would like. House Republicans are pushing for a cut in the state income tax. Another major theme for Hogan — on Wednesday as well as in previous public appearances — was reducing crime in Baltimore. “People who live in Baltimore City don’t feel safe in their own neighborhoods,” Hogan said. He advocated for a bill he calls the “Judicial Transparency Act.” It would require an annual report listing every violent crime conviction with the judge overseeing the case and the sentence issued. The bill has a hearing Thursday in the Senate Judicial Proceedings Committee. “There is clearly a breakdown in terms of the percentage of murders that are being prosecuted in the city, right? You have a lot of repeat violent criminals that are unfortunately going free,” said Judicial Proceedings Chairman Bobby Zirkin, with the caveat that he hasn’t seen Hogan’s legislation. At the same time, he added, judges are just one part of the process. On the other hand, Miller compared Hogan’s proposal with Teddy Roosevelt’s effort to recall judges whose rulings he didn’t like. “They’re entitled to the sanctity of their decisions, so we’re not going to pass that bill,” Miller said. Baltimore County Executive John Olszewski Jr., a Democrat, praised Hogan’s promises to increase school funding, especially for school construction. “We’ve made it very clear here in Baltimore County, we need at least $100 million a year for the next five years to honor past commitments as well as meet the needs of our high schools,” he said. 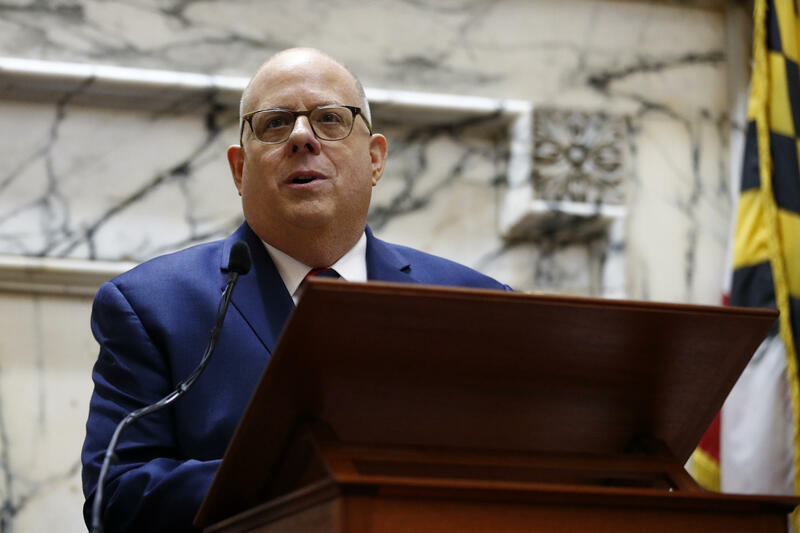 Hogan also promised more money for school operating budgets statewide, despite a drop in enrollment in a few jurisdictions that would usually mean less money from the state under legally mandated funding formulas. But that $11 million is not nearly what Baltimore needs, said Baltimore Sen. Mary Washington. She cited a study that found the state’s public schools are underfunded by about $2.9 billion.